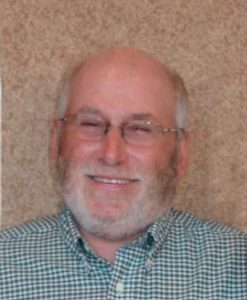 John L. Sabata, 62, of David City, died Monday, August 7, 2017 at rural David City. John L. Sabata was born June 1, 1955 in David City, Nebraska to John B. and Martha "Marce" (Ratkovec) Sabata. He graduated from David City High School in 1973. On May 25, 1974, he was united in marriage to Rita Birkel at Presentation Parish, Bellwood, Nebraska. Following their marriage John and Rita lived in Schuyler for a few years and then moved to the farm near David City in 1977. John was a lifelong farmer. He was a member of Assumption Catholic Church, Appleton, where he currently served as Parish Council President, and was a member of the Knights of Columbus Tihen Council 1717. John is survived by his wife Rita of David City, Sons & daughters-in-law John A. (Julie) Sabata of David City, Mark (Kalee) Sabata of Omaha, Daughter Sara Sabata and fiancé Bill Test of Norfolk. Mother "Marce" Sabata of David City. Three grandchildren, Brooke Sabata, Lena and Noah Sabata. Numerous nieces, nephews and brothers and sisters in law. He was preceded in death by his father John B. Sabata and sister Algene Sabata.